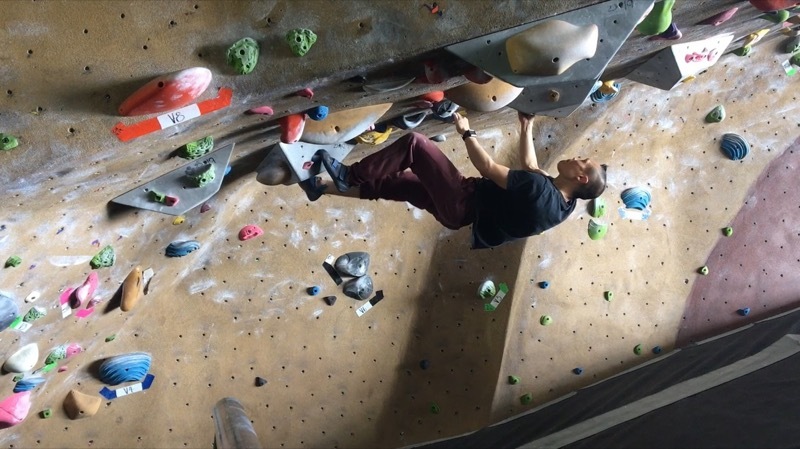 I’m really enjoying these bouldering problems in the “cave” section of my gym. It’s neat trying to figure out how to scend these routes where I am basically on my back for most of the time. I’m no where close to scending this V4 route. But I like the part at :16 where I do a triple bump, and how I control both of my swings. I of course fell as soon as I got out of frame!